I must have been practically the only woman in the UK not to have bought in to the mineral trend of 2009. 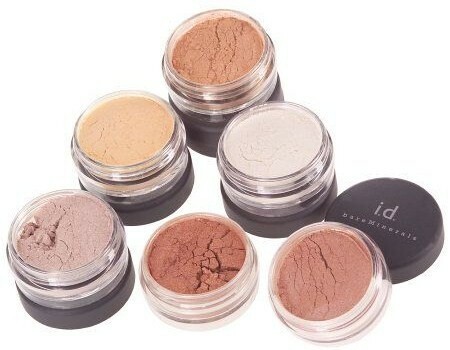 Having been working in the cosmetics industry at the time and closely monitoring the endless ‘mineral’ launches that spiralled from Bare Minerals, who had been around for years before, I was more than a little bit sceptical. Most of the ‘mineral’ products contain talc and other pointless ingredients just so they can use the buzz word of the time. I’ve tried a lot of the mass market products and they did absolutely nothing for me – they were basically just a glorified loose powder – so I’ve ignored anything with the word ‘mineral’ on it. Until now. 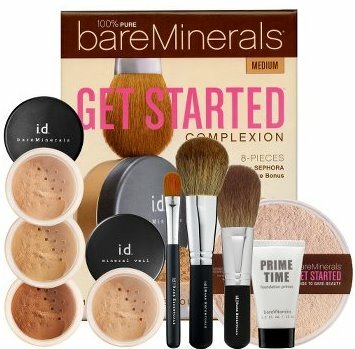 I was sent a Bare Minerals starter kit so I could ‘familiarise myself’ with the brand and products, finally finding out if they were worth the hefty price tag they carry. Just shy of £50 for a starter kit, these products don’t come cheap – but you do get a fair bit for your money. The set includes two shades of foundation (light and fairly light so they can pretty much be worn by anyone), a mineral veil, a warmth colour, three brushes and a concealer. You also get a DVD and instruction booklet to tell you what to do with this overwhelming jigsaw of beauty products. Now, when it comes to instructions I’m like a man – skim read, throw it away and muddle through – so I’m sure there are loads of tips and tricks I’m missing, but even so this system is surprisingly easy to use. All you have to do is dab your brush in the powder, tap away the excess and apply it to your face in circular movements. I have to admit I was thinking ‘yeah right, this is gonna do bugger all’ and was smugly sitting there in front of my mirror ready to slate the system. I have to eat my words because it’s bloody good. You think that applying powder in a circular motion isn’t going to cover anything, but it really does and it does it well. 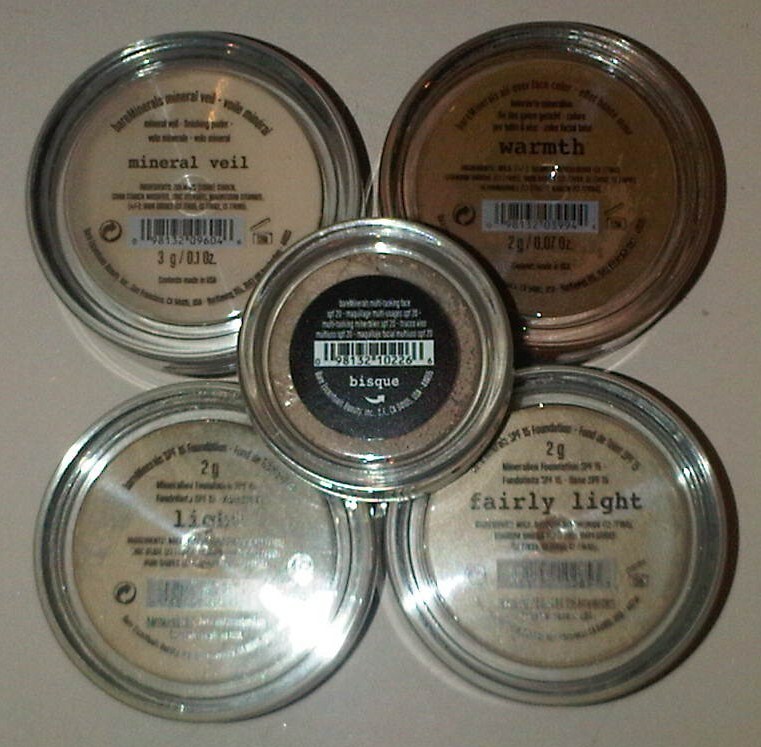 You need such a small amount I’m sure there’s some amazing magic going on inside those pots, because by using the mineral veil (think a primer/highlighter), the foundation and a teeny bit of concealer I got a better result than a full face of makeup. If I could take a picture of myself with my mouth hung open in shock I would’ve. It leaves you feeling fresh and like you’re practically wearing nothing at all. You look radiant and clear skinned, which hangs around all day (and night) long because you’ve applied no liquid (i.e. grease) to your face. I never thought I’d get into this because initially it seemed like a big time investment, but once you get the hang of it you can do it super fast. After a trip to a beauty salon yesterday for a facial I actually sat in Costa putting my makeup on and my friend was amazed how quick it applied and how good it looked… even though I did leave a little pile of powder on the table! The best thing is also that you don’t get anything on your hands so there’s no mess or cleaning up/dashing to the bathroom required. When you consider the price I think this is actually a great system for anyone that suffers from problem skin and is willing to invest in some good quality, effective products. 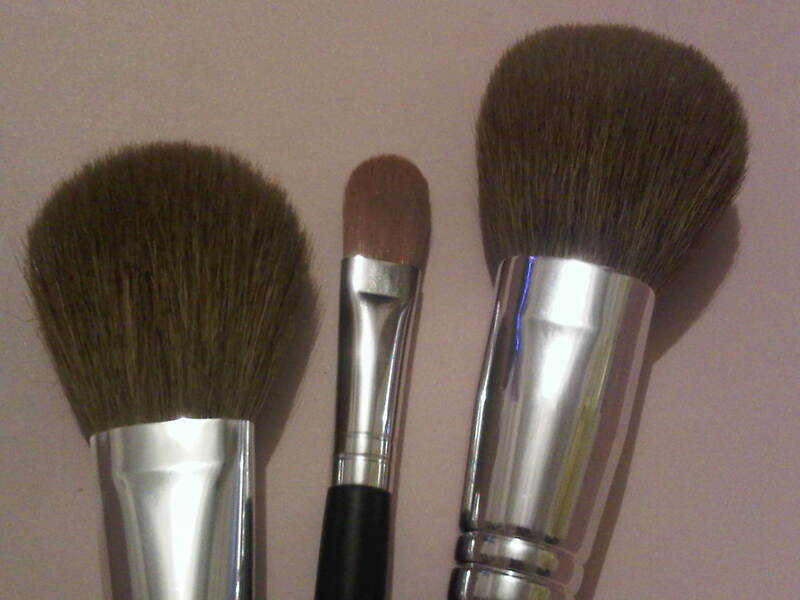 You get a lot of stuff for your dosh, including three fab brushes which would set you back a lot on their own. If you work out how much you’d pay individually then you’re getting a good fair discount and a system that’s qualitative and easy. A definite must for anyone who’s always been looking for that skin wonder product… In the words of Michael Jackson, this is it. I went to get a sample of the Baremineral medium powder, and used it over my liquid foundation for about a month (the samples they give you last a really long time – it's still not run out yet!) It made my skin look really natural and bright even over the quite heavy foundation. And then finally saved up to buy this starter set about a week ago, and I've already noticed my skin tone becoming more even and bright. It feels really natural and it stays on for ages! So it's definitely a set I'm going to keep on buying after its run out! I got this kit this weekend too after also ignoring the mineral trend for a while. I really like it! The concealer is a bit dark for me but I love the finish the foundation gives. And the brushes seem like really good quality too, all in all a great set. Sounds like we're all pretty convinced ladies… I'm interested to see if it improves my skin in the long term too. I'm lucky enough to have pretty good skin (so my facialist told me at the weekend!) so I may not notice it as much as someone that has troublesome skin. It still feels fresh and 'just applied' all day though.